Stay creative during the summer months by exploring the colors and patterns of butterfly wings, moths, delicate chrysalis and milkweed pods. 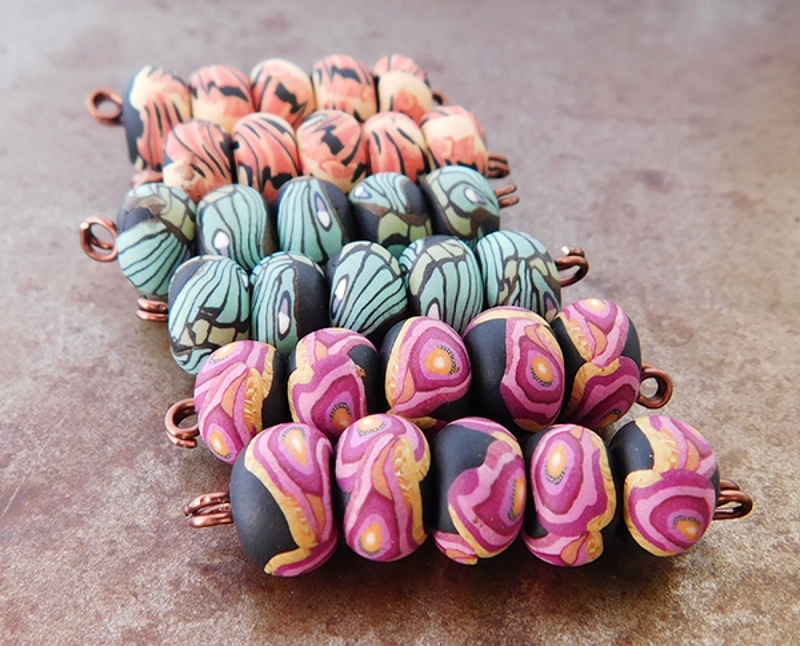 Delve into four weeks of beadmaking projects to work at your own pace and schedule. This class is open to all skill levels, whether you've worked with polymer clay for years or never touched the stuff. TIn the classroom you'll have access to PDF tutorials and video demos for each project that will help you feel like you are in the classroom with me. There is also an optional private Facebook group for this class. 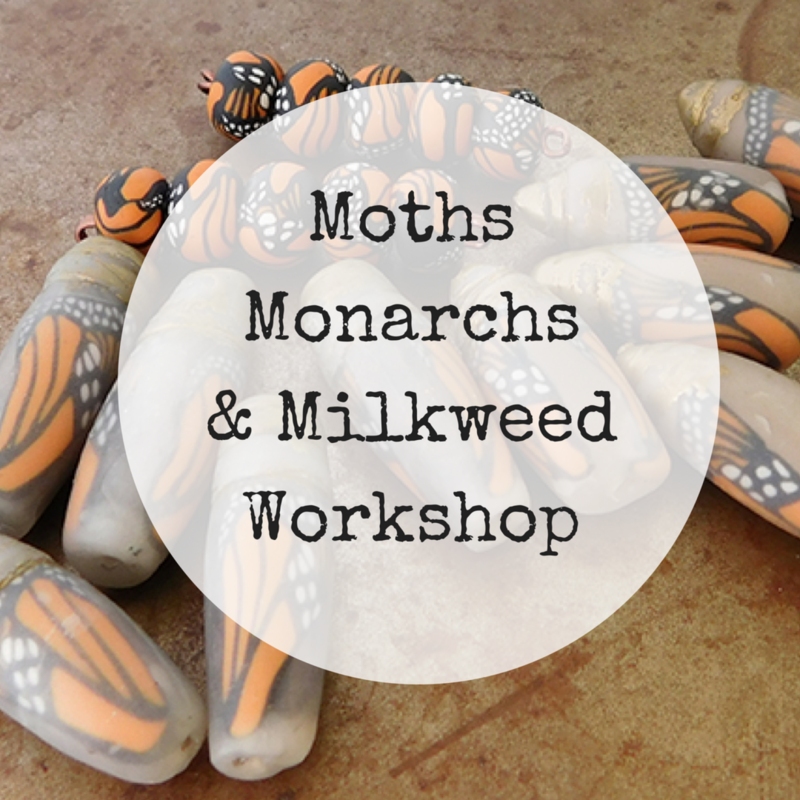 Monarchs - Learn to create the monarch butterfly cane, create disk beads and transform the cane into a delicate chrysalis. 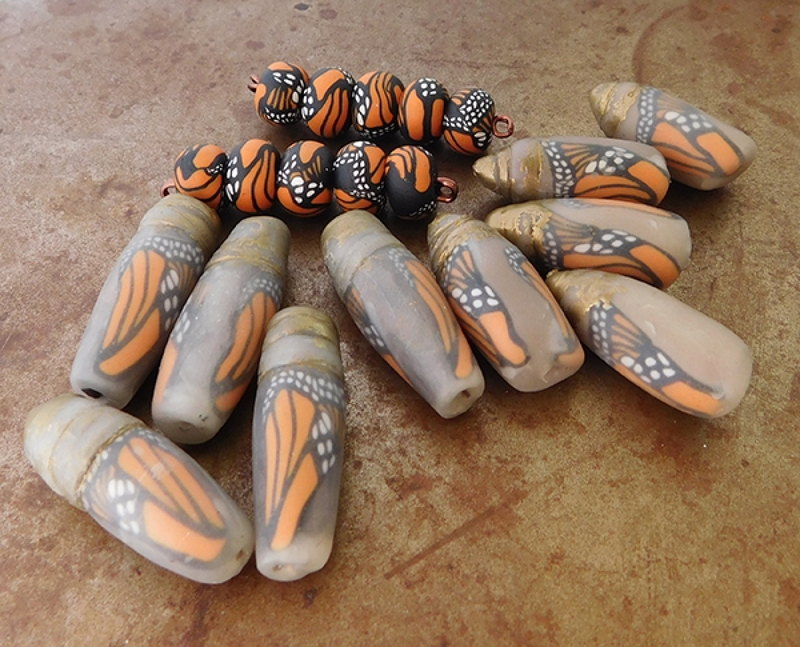 Moth Wing Disk Beads - we'll cover 3 different canes ranging from simple to complex. 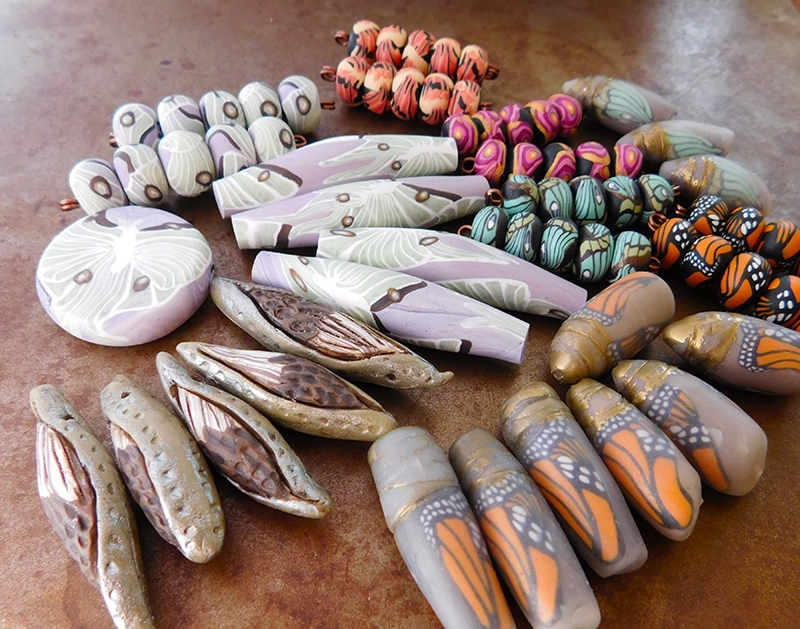 Learn to mix custom color palettes for each cane, discover simple tricks to make the clay create interesting designs that mimic the patterns of moth wings. You'll create disk beads and chrysalis beads with your new collection of moth canes. Luna Moth Cane - We'll create several canes to create the luna moth design. 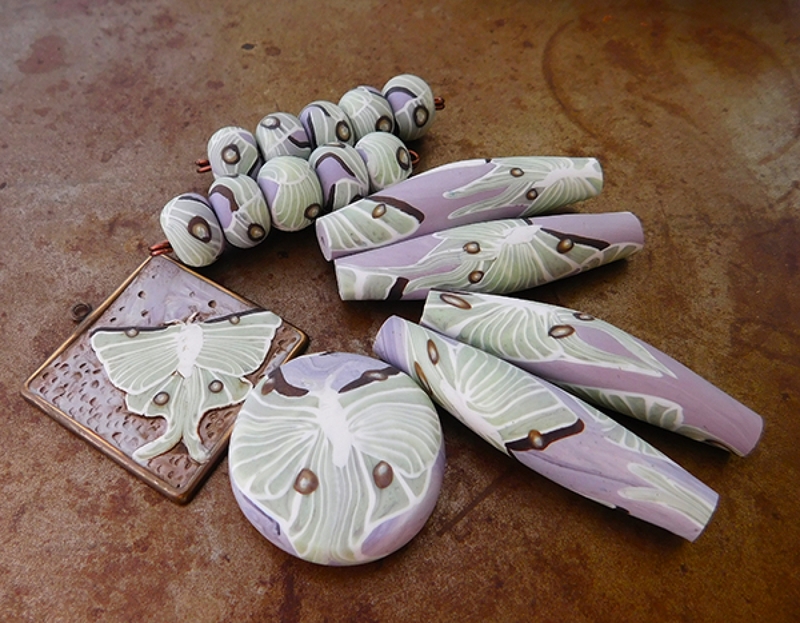 Learn to use translucent clay to create new depths in your color palettes and cane textures. We'll cover creating images from a series of canes, making a picture bezel pendant with the canes along with disk beads and the elegant long beads. 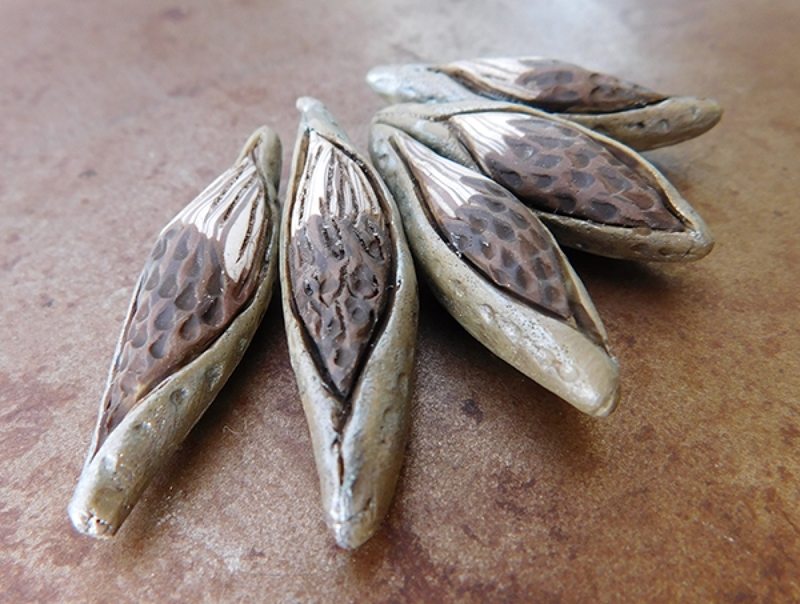 Milkweed Pods - We'll combine cane designs and sculpting to create milkweed pods. We'll cover bead construction and alternatives like headpin pods that will make perfect earrings or charms. Feel free to use subsitutes.The only clay I don't recommend for this class is Sculpey III, it's too soft for caning. Premo, Souffle, Fimo, Pardo or Kato can be used. If you want similar colors I recommend using the brands and colors listed above. 5. You can share photos of your finished beads online, but I ask that you not share photos of the canes in progress.